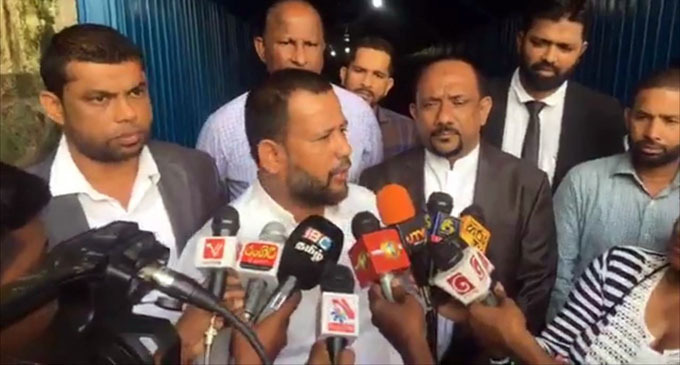 (FASTNEWS|COLOMBO) – The All Ceylon Makkal Congress (ACMC) on Thursday (06) submitted their statements at the Criminal Investigations Department (CID), on the alleged assassination plot against its Leader, Parliamentarian Rishad Bathiudeen. 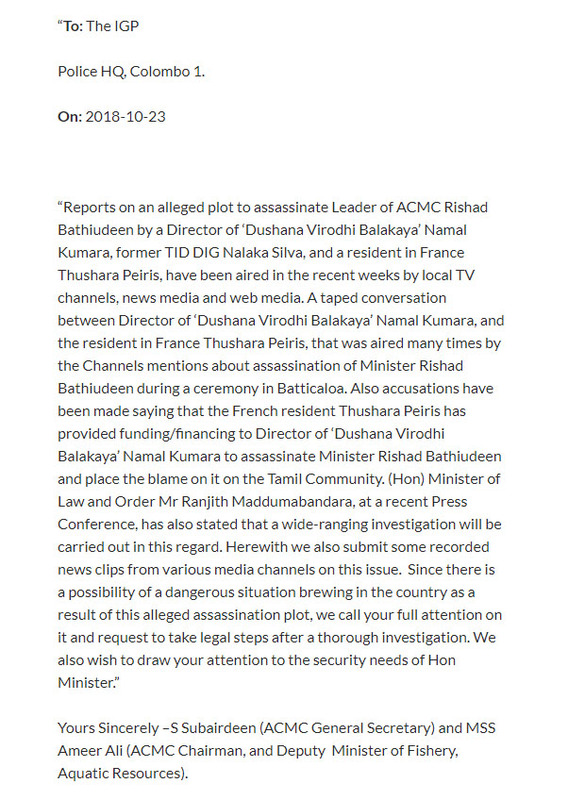 “ACMC Parliamentarians are now at the CID giving their statements on alleged assassination plot on me,” the former Minister tweeted earlier. 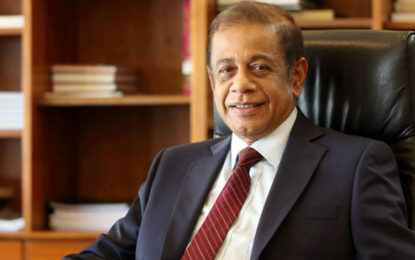 ACMC Parliamentarian Ameer Ali and Party Secretary S. Subairdeen lodged the complaint with Colombo Police Headquarters on 23 October.